Do you have stubborn fat that just won’t budge? Are you, like nearly 50 percent of Americans, actively trying to lose weight? Do you feel like you’ve tried everything in your power to get rid of it, to no avail? Don’t give up hope just yet. There are lots of techniques and treatments out there that can help you shed stubborn fat, including ultrasonic fat removal. Never heard of this procedure before? Not sure if it’s a good fit for you or if you can afford it? Read on to learn more about this procedure and find out how much it costs. What is Ultrasonic Fat Removal? Ultrasonic fat removal might sound like something out of a science fiction movie. In reality, though, it’s a totally safe, non-invasive, and highly effective treatment that can help you say goodbye to stubborn body fat. Some people think that going under the knife and getting liposuction is the only option to help them lose body fat. The ultrasonic procedure is a different, safer approach that is just as, if not more, effective. This procedure involves the use of focused pulsed ultrasound that selectively destroys fat cells. It doesn’t just shrink them, which is what happens when you lose weight. No, it destroys them completely — and you can’t grow them back. The ultrasonic procedure destroys the walls of the body’s fat cells. This, in turn, releases fat molecules in the form of triglycerides. These triglycerides are processed through the liver and naturally excreted from the body. There is no need for sedation during this procedure, and you can go back to your routine immediately after it is finished. That’s right, there is absolutely no recovery time needed. It usually takes about three treatments to see full results from the procedure, but many people start to notice a difference after the first treatment. In addition to the lack of sedation, there are lots of other reasons to consider the ultrasonic procedure. This procedure is also FDA-approved, so you can rest easy knowing that you’re receiving a treatment that is safe and has been thoroughly tested. If you’re interested in a fast, risk-free, and effective fat loss treatment, this might be the right procedure for you. The average cost of ultrasonic fat removal is quite a bit less than the cost of traditional liposuction, too. At Better Off, the ultrasonic procedure costs $2,700 dollars for three treatments. You can easily spend up to $10,000 on traditional liposuction. Not only does this procedure cost less up front than traditional liposuction, but you can actually save more money by taking this approach. This is because you won’t have to take time off of work for the procedure and recovery period. You can go right back to your routine as soon as it’s over. Who is a Good Candidate for Ultrasonic Fat Removal? This procedure is a good option for both men and women who want to lose excess body fat. As long as you are in generally good health and do not have any uncontrolled chronic conditions, are not pregnant, and do not have any metal implants (pacemakers, defibrillators, etc. ), this treatment should be safe and effective for you. It’s important to note, though, that the ultrasonic procedure works best on individuals who have stubborn fat in certain areas. It’s not a good approach for all over fat loss. If someone is very obese, for example, they might be better off waiting to try this procedure until they’ve lost some weight on their own. 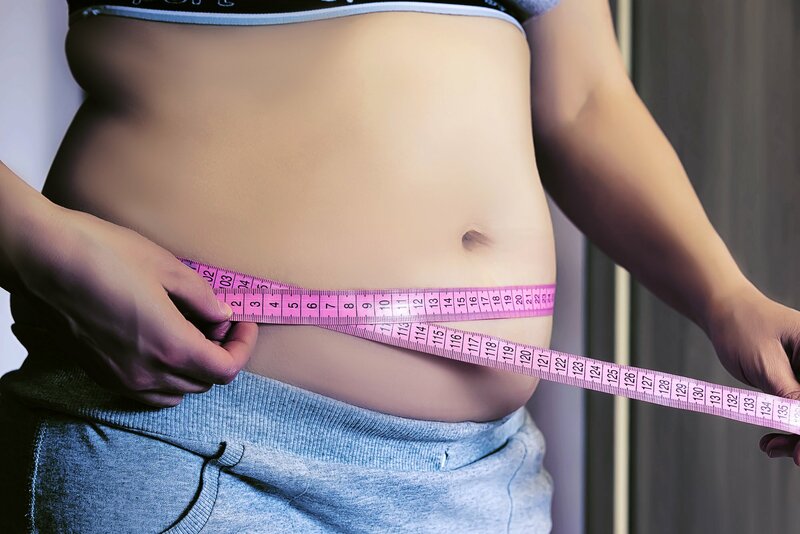 If you are close to your goal weight but still have stubborn fat in any of these areas, you may want to consider giving ultrasonic fat removal a try. Before your procedure, you’ll meet with a doctor who will discuss your medical history with you and let you know whether or not it’s a good option for you. The procedure takes about 45 minutes, but sometimes even less than that. Once the procedure is complete, you should be able to head home and go back to your normal routine. Your doctor may recommend limiting yourself to moderate exercise, like walking, for a few days just to be safe. This helps to keep the blood flowing but will also allow you to avoid any negative side effects, such as the effects associated with liposuction. You will likely see some results within a couple of weeks after the procedure is finished. Don’t panic if the results aren’t as dramatic as you’d like, though. Remember, it will take a few treatments, spread out over several months, for you to notice significant changes. Ultrasonic fat removal can be a great option for folks who are looking to shed stubborn fat without going under the knife or experiencing any potentially dangerous side effects. Now that you know more about the procedure and what it costs, are you interested in giving it a try? If you are and you live in or around the San Diego area, we can help at Better Off. We offer a wide range of non-invasive fat removal and skin restoration services, including ultrasonic fat removal, tattoo removal, and more. Contact us today to schedule an appointment or learn more about how our services can benefit you.